There are many applications and styles of compressors but for the producer wanting to get the most out of a mix-down it is one of the most important tools they could ever have. WHY IS IT SO? In music there is a term known as dynamics. I remember my old band master screaming at our concert band as I hid behind my clarinet, “You’ve got no dynamics”. What he meant in other words was, no light and shade, we just played as loud we could and ignored any markings on the music to the contrary. Have you ever been driving along not realising your car radio is tuned to a classical station until suddenly a loud passage of music swells up and you hear it jump out at you? Well this is because classical stations, in an attempt to stay true to the dynamics the composer wrote for the piece, do not use compressors or limiters on their broadcasts. For a singer, dynamics can mean expressing the vocal from a softly sung passage and breathy tone to a loud passage with a big note. This is all well and good but what does it have to do with a compressor? Ok you saw in the above how a car’s engine noise can cover over the soft part of a classical piece, well imagine that the car engine is a drum kit and as the vocalist drops down in volume to express a breathy note they are lost under the volume of the drums and the rest of the band. The same is true for all the instruments in the recording and as a result at mix-down you’re riding the faders (turning the volume up & down) constantly trying to catch for troths and spikes of every instrument. What you want to achieve is a smooth constant volume (SPL) on each instrument before you start the mix-down, but you can’t ask your performer to change the way they sing or play because they need to capture the emotion of the song, and sometimes that’s loud and angry and sometimes it’s soft and breathy. This is where a compressor will help you. Automatically raise the volume of the softly performed passages to the average (without affecting the tone). Bring down the peaks and spikes to the average wave volume so they can all be turned up together. The desired intensity of the result should be very transparent, meaning it should sound natural and not squashed so the listener doesn’t realise your using it. 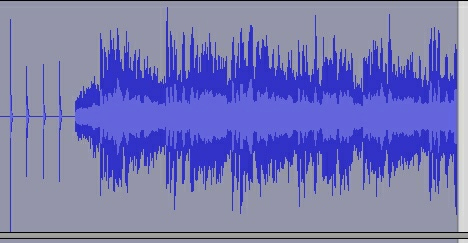 On the right you can see a picture of a wave file that has a few spikes in it (long narrow lines). Now when you go to bring up the volume of the whole wave the spikes will hit 0db first, and as you can’t go past 0db without clipping, the rest of the wave will have to stay down in ratio. Now after you have many other wave files with this problem it will stop the whole mix getting close to 0db and as a result it won’t be at a commercial level for radio play. On the right you can see the difference after compressing the file. The peaks have come down allowing the softer parts to raise more in volume. This will make a huge difference in the mix as you will be able to hear the tone of a breathy soft vocal passage at the same volume as a powerful big note. With the way our human ears qualify proximity, the listener will interpret what was meant to be soft or loud by it’s tone, rather than it’s volume. JARGON BUSTER explaining the industry terms. 0db: This is the maximum volume for digital recording. 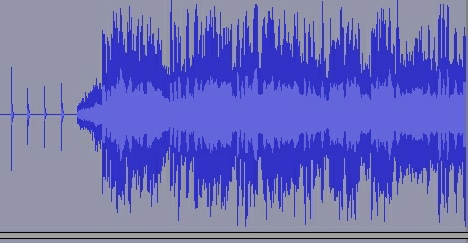 Exceeding 0db will cause clipping(distortion) of the file, which in the digital domain sounds awful. Awful in digital but is sometimes intentional with analogue (tape)recordings because it can give a nice sizzle (heat) to the wave file. In fact it changes the shape of the peak of the wave to a natural arc, where as it changes a digital wave to a square shape and a nasty sound. Faders: Faders are the sliders or dials that control the volume output of a channel. Usually found on the bottom of the channel.